Happy Friday! Ready for some global health security news? Down the rabbit hole we go….the FDA has just approved ANTHIM injection, a new treatment for inhalation anthrax in adults and children. 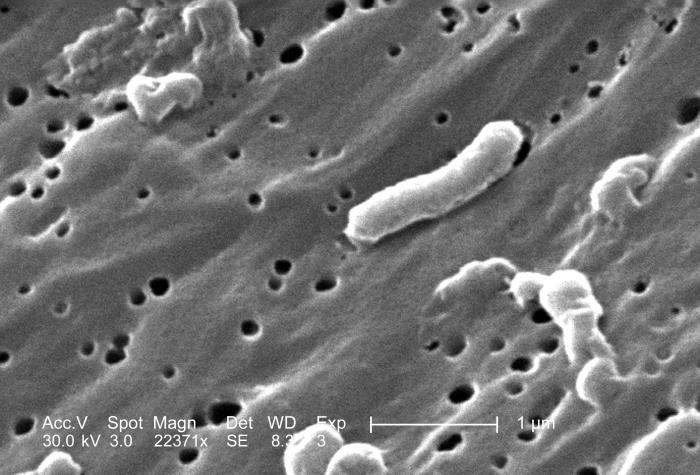 Researchers are considering the possibility that the highly virulent E. coli O104:H4 strain that hit Germany in 2011 may have been an intentional act. “The sudden and unexplainable emerging of a fast increasing number of cases and deaths from bloody diarrhea and HUS might have been caused naturally, accidentally, or intentionally,” a Serbian-German research team writes in the European Journal of Public Health Advance Access for April 15. From SARS to Ebola and now Zika, the growing threat of emerging infectious diseases doesn’t seem to be slowing down. Has this become our new normal? Will we learn from these outbreaks and start putting the resources and support into prevention? “Ebola has infected almost 30,000 people, killed more than 11,000 and cost more than $2 billion in lost output in the three hardest-hit countries. SARS infected 8,000 and killed 800; because it hit richer places, it cost more than $40 billion. Predicting these losses is hard, but a recent report on global health risks puts the expected economic losses from potential pandemics at around $60 billion a year.” So how do we defend against these international security threats? America’s National Academy of Medicine recently made the suggestion that $4.5 billion a year solely dedicated to pandemic preparedness and defense could halt this impending reality. Even more interesting? This estimate accounts to roughly 3% of what “rich countries spend on development aid”, while the world spends about $2 trillion annually on defense. American response to Ebola and now Zika reveals a startling trend of slow response, inadequate supplies, and poor cooperation and coordination between agencies. Director of National Intelligence, James Clapper states that “Gaps in disease surveillance and reporting, limited health care resources, and other factors contributed to the outpacing of the international community’s response in West Africa,”. The National Biosurveillance Integration Center (NBIC) is one such agency that was developed in 2007 in attempts to “be a hub of information and coordination for federal agencies tracking disease and biological threats”, however it has been frustrated by poor relationships and sharing from other agencies like the CDC. In essence, agencies that are developed for global health security, like NBIC, suffer from poor cooperation that then trickles into their reputation and capabilities in the eyes of their federal partners. “Congress has put forth a potential legislative fix. The CBRNE Defense Act of 2015 would create a new office within DHS, the Chemical, Biological, Radiological, Nuclear, and Explosives Office, which would place both NBIC and BioWatch under integrated new management.” Just as we reported from the Blue Ribbon Study Panel, federal biodefense efforts and resources need to be better organized and developed. Elizabethkingiam is currently causing dozens of cases in Wisconsin and now a Michigan resident is suffering from the bloodstream infection. The bacteria that causes the infection, Elizabethkingia meningoseptica, is commonly found in soil but has also caused infections in hospitals. Typical infections have resulted in bacteremia and neonatal meningitis related to the gram-negative bacillus, although it is naturally found in soil, fresh water, and salt water. Most of the 54 cases in Wisconsin have been in patients 65 years and older, of which 17 have died. Public health officials are working to identify the source of the outbreak and the links between the Michigan case and those in Wisconsin. The concerning aspects of this rising outbreak is also the difficulty in treating the organism and prevalence of multi-drug resistant organisms in seniors. Check out this special issue on complex engineering by violent non-state actors (VSNAs). “Why and how different VNSAs remain low-level and localized or undertake and achieve complex engineering tasks in pursuit of their objectives are at the heart of understanding the threat environment faced by states.” The authors address several terrorist groups like Aum Shinrikyo (the chapter was actually co-authored by GMU Biodefense Alum Benjamin Ash! ), Hamas (also co-authored by GMU Biodefense Alum Alena James! ), the Provisional Irish Republican Army (PIRA), etc. “The approach of this collection moves beyond weapons and embraces facilitating or logistical aspects that support the operations and objectives of the various actors”. This special edition, with an introduction by Jez Littlewood, reviews these organizations and their resources and strategies. The authors also consider the attitudes of leadership regarding innovation in detail to assess the role of complex engineering by VSNAs. Through this close look into the VSNA use of complex engineering, further research and preparedness can occur to understand the threats posed by these actors. Now that Spring has officially begun, the impending summer rains are right around the corner, and with those – mosquitoes. Many worry about the potential for local transmission in countries where imported cases have already been identified. The US isn’t immune to these concerns as the CDC reports 273 travel-related cases. Dr. Nabel mirrors the sentiments of Sanofi’s global R&D head, Dr. Elias Zherouni, who emphasizes the need for changes in global public health outbreak response. He notes that “we just run from one crisis to another. It’s not an optimal way to respond. Not when the stakes are so high and when so many people can either lose their lives or have their whole lives changed because of one five-day infection. That’s no way to protect the world’s population. We have to step back and we have to say, ‘Is there a more systematic way to gather the intelligence that we have about these viruses, recognize where they stand in terms of the threat level, and then develop a systematic program where, when the next Ebola outbreak occurs, it’s not that we haven’t done anything since the last outbreak, that we’ve actually moved things forward?’ That’s all possible. It’s just that we have not had the collective will to do it.” Panama has also announced their first case of microcephaly linked to Zika virus outside of Brazil. Chris Mooney from The Washington Post discusses why Zika virus, among other diseases, could disproportionally impact America’s poorer populations. He notes that scientists have found that more mosquitoes are found in lower-income neighborhoods due to persistent trash and abandoned buildings, which creates a ripe environment for standing water and thus mosquito breeding. Researchers found that when compared to wealthier neighborhoods in New Jersey, “poverty was positively correlated with number of [Asian tiger mosquitoes] captured and accounted for over half the variation”. Many are saying that the “U.S. is botching the Zika fight” due to the problems within the FDA and the Agriculture Department regarding turf. “A genetically tweaked mosquito could stop the illness, but regulators won’t test it. Why would that be?” The combination of worrying reasons, like “budgetary concerns and antagonism to genetic engineering among some senior USDA officials”, leave many feeling that instead of getting ahead of the outbreak, “the U.S. is falling behind, solely because of bureaucratic muddle.” On the other hand, on Friday, the WHO rallied for pilot projects on two projects that would involve genetically modified mosquitoes to help stop the spread of Zika virus. In the meantime, the FDA gave emergency approval for a 3-in-1 test for Zika, Chikungunya, and Dengue. Brett Edwards and Mattia Cacciatori tackle the responses that the international security community has taken regarding the use of chemical weapons in Syria and the resulting reinforcement of “a long standing prohibition norm.” The authors discuss the characteristics of chemical weapons taboo and and the significance that the international community gives to these weapons. “This alone does not support the claim episode has strengthened the global norm against chemical weapons. In this piece we have highlighted how this is not immediately apparent due to the fact that problem cases tend to be externalized from dominant institutional discourses, often justified in terms of the need to protect the sanctity of the chemical weapon norm, as well as those institution’s which embody the norm – especially the OPCW.” Overall, the more problematic cases, like those of incapacitating chemical agents, will grow to alter the existing foundation of chemical weapons norms if left ignored or unchecked. The west African Ebola outbreak is like a campfire that wasn’t put out properly – everyone thinks the flames are extinguished, but those hidden embers lurking in the ash end up causing a spark that leads to a massive forest fire. A fifth person has died from the recent flare in Guinea. The most recent death occurred in a man 200k from the initial four cases. Prior to this death, a young girl died from the village of Korokpara following her hospitalization in an Ebola treatment facility in Nzerekore. It’s still not clear how this specific surge began, but many worry about the lingering traces of the virus in the eyes, CNS, and bodily fluids. In response to the fifth death, Liberia has partially shut its borders. Emergency meetings are now underway and the WHO is sending specialist teams in to try and stop the outbreak before it grows beyond the 11,300 mortality count. On a positive note, Sierra Leone has gone two incubations periods (42 days) without a case, which means they’re Ebola-free since their last flare up. GMU students interested in learning more about the battle of Gettysburg- the Center for Security Policy Studies (CSPS) will be hosting an informational session on April 6th from 4:30-6pm in Merten Hall 1203 regarding the April 9th trip! GMU students and staff will walk the battlefield, discussing the factors that caused the battle to unfold as it did. They will also link the battle into larger discussions about the causes of war and grand strategy. The cost for the trip will be $35. Bus transportation will be provided, and will pick up participants from both the Fairfax and Arlington campuses. Five Outbreaks That Stump Epidemiologists– As much as I’d love to say that all outbreaks are investigated and solved, the truth is that epidemiologists are often left with the nagging of an unresolved case. Outbreaks are squirrelly at best, often challenging even the best teams with confounders and biases. Here are some that have stumped public health teams over the years. Lassa Fever Outbreak– Three people are suspected of having the viral infection after coming into contact with an infected American. The initial case was a medical director of a missionary hospital in Togo, who died last month. While there are conflicting reports of disease confirmation, several sources are saying the three contacts of this initial case have been diagnosed and are under observation. The outbreak in Nigeria and Benin has continued to grow, resulting in CDC travel warnings. In Nigeria there have been 254 cases and Benin has seen 71. Dirt is all around, I mean, truly, all around. We wash it off our produce, get it smashed into the soles of our shoes, and vacuum it out of our homes. But is dirt really that bad? The stories this week look at dirt as a source of antibiotics and a disposal method for chemical weapons. We also look at Ebola and other stories you may have missed. DARPA has a new idea for eliminating chemical weapons—breaking them into safe compounds like oxides and earth metal salts, in other words, soil. Considering the drawbacks for current disposal methods, the agency’s Agnostic Compact Demilitarization of Chemical Weapons program has put out a call for proposals for a weapons-to-dirt plan. A study published this week in Nature looks at a new antibiotic, called Teixobactin, which could keep working for “longer than any other” before bacteria could develop resistance. It is still at least four years away from availability and can only treat gram-positive bacteria like staph, strep, and TB. And where was this new antimicrobial found? Dirt from a grassy field in Maine. The Washington Post—“Most microbiologists only ever work with around 1 percent of microbes—the ones that will grow politely in the lab. But the rest refuse to grow on traditional growth media, like petri dishes. But there are potential antibiotics all over the world being created by plants, fungi, and microorganisms. 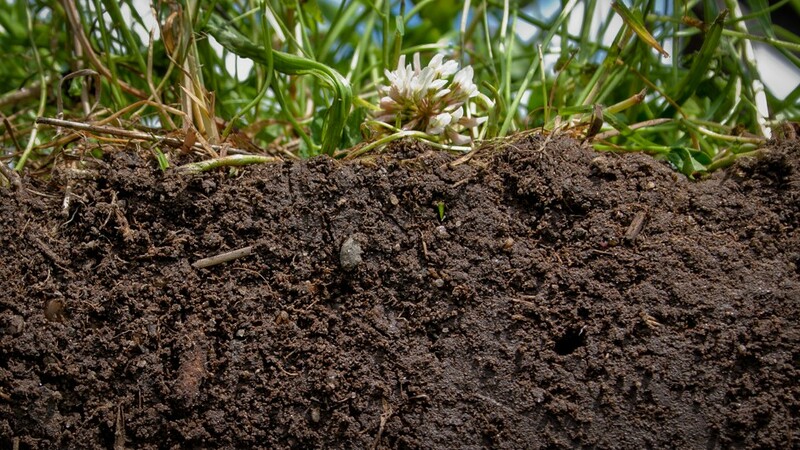 Lewis and his colleagues sandwiched soil between two semi-permeable membranes, effectively tricking soil microbes into growing in a “natural” environment that was actually a lab culture. Ebola has reached beyond health. Since the outbreak began, in Sierra Leone a combination of curfew, a ban on public gatherings, plummeting GDP, and inflation have fueled economic freefall. And remember when Texas nurse Amber Joy Vinson got on a plane to Ohio to shop for bridesmaid gowns for her own wedding? Well the store, announced it will be going out of business due to flagging sales and stigma of being the “Ebola” bridal store. The pharmaceutical industry is chugging along in creation of and testing of possible vaccines for the Ebola virus; all of this comes at a time where the number of deaths is over 8,200 and the number of cases stands at over 20,000. The Economist has an amazing series of charts, maps, and graphs that look at the scope of the outbreak. Meanwhile, the British nurse diagnosed with Ebola is in critical, but stable, condition, and an American health care worker was transported to the Nebraska Medical Center’s specialized biocontainment unit for observation. Travelers from Mali will no longer face enhanced screening when they arrive in the U.S., as the last case in Mali was December 5 and there are no active cases in the country. Lastly, there were two interesting first-person stories from those who have returned from West Africa. First, an NPR correspondent in Washington DC writes about the terrifying moment when he woke up with a fever within 21 days of his return from Liberia. Then, an Australian MSF nurse wrote about the “sheer brutality” of the Ebola virus he experienced while in Liberia. In the continuing court case over whether or not Haitians afflicted with cholera after the earthquake can sue the United Nations, a U.S. District Court in Manhattan dismissed the lawsuit. A lawyer for the plaintiffs said they would appeal the ruling. The California Department of Health is investigating nine cases of measles which were linked to Disneyland or Disney California Adventure. Looks like even the most magical place on earth isn’t immune from contagious disease. A new vaccine awareness campaign, The Art of Saving a Life, funded by the Bill and Melinda Gates Foundation, is highlighting the contribution of Edward Jenner and others. ASAL includes 30 commissioned worked of photography, visual art, and literature that tell the different ways vaccines have impacted history. In a leaked report from a chemical weapons watchdog, additional findings confirm that chemical weapons were used in Syria. However, the 117-page report does not clarify which side used them. Genetically modified mosquitos provide possibilities to control mosquito borne diseases like chikungunya and dengue, but do they also provide an opening for other mosquito species to flourish? Smithsonian investigates. We’re taking the bad news with the good news this week. Highlights include miscalculations in the MERS toll, rising numbers of Ebola deaths, innovations in vaccine delivery using rice, and progress with MRSA. Enjoy your weekend! On Tuesday, the Saudi Ministry of Health reported that 282 people have died from Middle East Respiratory Syndrome coronavirus (MERS-CoV) which is a major increase from the previously known official death toll of 190. The same day as the announcement, Deputy Health Minister Dr. Ziad Memish was “relieved” from his post according to the Saudi Health Minister. No reason was given. Though overall the number of new cases of Ebola appears to be declining, new cases have been recently reported in Guinea and Sierra Leone. Doctors Without Borders/ Medecins San Frontieres have been supporting health authorities in both countries, treating patients, and working to put measures in place to control the epidemic. They have sent over 44 tons of equipment and supplies to assist the outbreak which has infected over 300 people and killed at least 125. In an effort to fight common diarrheal illnesses including cholera and rotavirus, researchers at the University of Tokyo are working on bioenginerring rice in order to turn it into an easy and low-cost storage and delivery medium to combat these common illnesses. According to the World Health Organization, cholera alone kills as many as 120,000 annually. Both the cholera vaccine and rotavirus antibody versions of the rice have been tested on laboratory mice with plans to test on humans within the next few years in a country like Bangladesh where cholera is a major public health threat. The Bill and Melinda Gates Foundation as well as several pharmaceutical companies have shown interest in developing drugs based on the research. Among serious concern for the growing levels of antibiotic resistant superbugs, it appears there is some promising news. Durata Therapeutics have developed a new drug, Dalvance, which in clinical trials has proven as effective as vancomycin—another powerful antibiotic—against acute skin and soft tissue infections including methicillin-resistant Staphylococcus aureus (MRSA.) According to Durata, more than 4.8 million people were admitted to hospitals with skin and soft tissue infections between 2005 and 2011 and nearly 60% of these staph infections were the methicillin-resistant variety. Highlights include PEDv thriving in the polar vortex, H5N1 in Canada, archaeological epidemiology, H7N9 in China, and MERS in Oman. Happy Friday! Porcine Epidemic Diarrhea virus (PEDv) has officially spread to 22 states, helped in part by the colder weather, and affecting over 2,000 hogs. The virus, which causes diarrhea, vomiting, dehydration, and death in piglets, reaches as far west as California. The cooler weather enables the hardy virus freezes on clothes and on the bottom of shoes, enabling spread. The first H5N1 fatality in North America occurred in Canada last week. A Canadian woman returning from China became symptomatic on December 27th, was hospitalized January 1st, and died January 3rd. The woman had not visited any live farms, not had she come in contact with poultry – the method of transmission remains unclear. Remember, while H5N1 has a fatality rate of 60%, there is currently no indication the virus is readily transmissible person-to-person. It’s just not well adapted to our immune system – for now at least, it prefers the birds. The next time you’re in Philadelphia, instead of visiting the well-trod landmarks, consider visiting the Mütter museum, home to the 200-year old intestinal samples. Those samples, taken during a cholera epidemic at the turn of the 18th century, has helped scientists characterize the classical biotype of cholera, thought to be responsible for seven outbreaks during the 19th century. Scientists had thus far been unable to study the classical biotype, due to its preference for the intestines – unlike bones which can linger for millennia, the transience of intestines makes collecting DNA samples over time challenging. China reported eight new cases of H7N9 in the last five days, including three cases in which exposure to live poultry could not be confirmed. Again, a slight increase in case numbers was expected with the cooler weather, and as of yet, there remains no confirmed, ongoing transmission person-to-person. For a full breakdown of the seven cases (the eighth case was announced by health authorities in Hong Kong), see the GAR above. A 59-year-old man has died of MERS in Oman, bringing the total number of cases globally up to 178. The patient became symptomatic on December 24th, was hospitalized on December 28th, and died on December 30th. The patient had extensive exposure to camels, including participation in camel racing events. It looks more and more like camels, everyone. This week’s image is of Vibrio cholerae, the gram-negative bacteria which causes the disease cholera. Cholera affects up to five million people globally each year, and causes as many as 120,000 deaths. The disease is not contagious, but is spread through ingestion of contaminated food or water, the latter often due to poor sanitation. Haiti is currently experiencing an unrelenting cholera outbreak; between October of 2010 and October of 2013, there have been over 680,000 cases.